I hope everyone had a fabulous weekend! I snuck in some crafty time between trips to the pool outside. 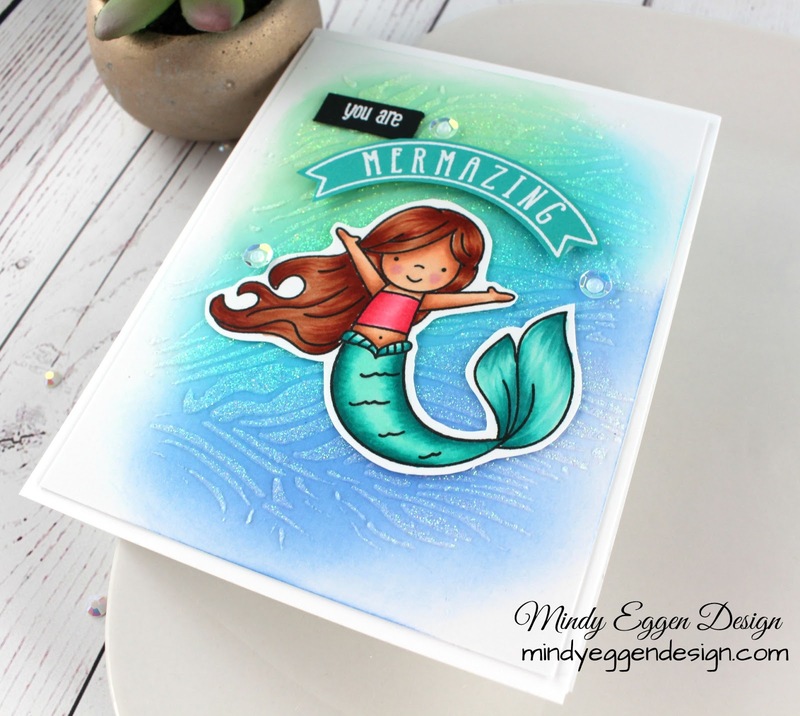 I was able to finally play with this beautiful Mermazing stamp set from Neat & Tangled. 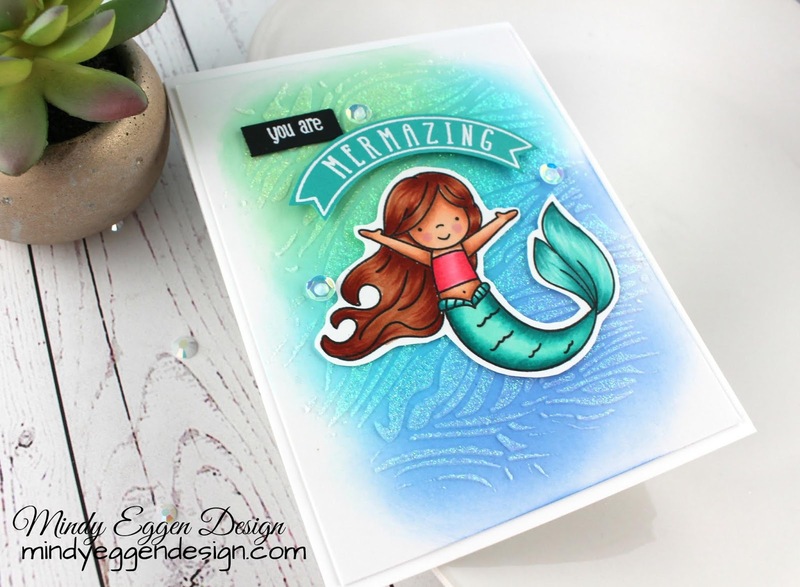 I stamped my image onto Neenah white cardstock with a copic friendly ink. Then colored with copic markers. 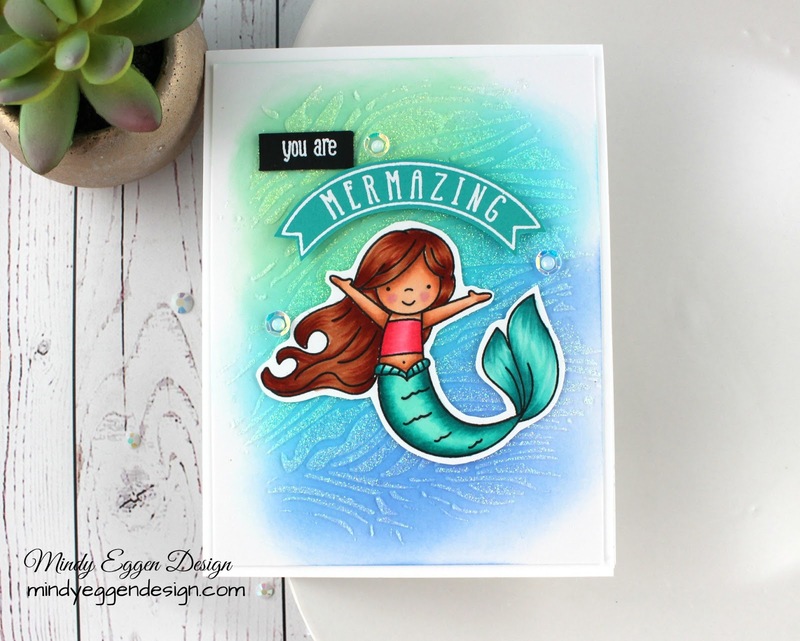 I fussy cut this out because I forgot to buy the coordinating die which I would much rather have! I also stamped out the banner sentiment onto Peacock Cardstock with clear ink and heat embossed with white embossing powder. The other part of this sentiment is stamped on Black Cardstock with clear ink and also heat embossed with white embossing powder. For the background, I used a piece of Bristol Smooth Cardstock. I ink blended Cracked Pistachio, Mermaid Lagoon, and a light hand of Blueprint Sketch Distress Oxide Ink. Then I used the Rice Paddies stencil and added Moonstone Nuvo Glimmer Paste.